Paintless dent repair is a skill and art. It takes a lot of practice and some expensive tools. I've tried it myself with minimal success. You can get the tools off eBay, but they are expensive. 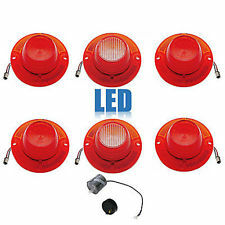 You also need some movable lighting. I haven't checked, but I'll bet there are videos on YouTube. For a couple of dents, you're gonna want to contact someone local that does it. Google it or check around at used car lots. They are the major customers for the service. Good luck. Had a 2 1/4" cat back exhaust and a turbo muffler installed. Sounds really good, deep throaty and really changed the personality of the car. The boost seems to build quicker and seems to get a little more boost. Hope to be able to try it out more in a couple of days. Hey Jack....send me a messenger please with a video so I can hear how it sounds. I had my 92 up on a rack at the shop last week to start figuring out the new exhaust. Found someone had already put in a performance cat and 2 1/4" mid pipe back to the muffler. Muffler is small with 2" input and 1 3/4" output. The tailpipe is rusted off. That accounts for the 92 being a lot spunkier than the 94 that has factory exhaust. The shop I was at did not want to bend a new tailpipe, so I am still in search of a shop here that will. MOCK UP (these are just cut outs at the moment, as I am waiting for the lights to get here) of new tail light idea  for the Capri. Uses black out tail light covers and LED’s. I am creating molded housings for each with perforated mesh ~ ala Ferrari F355 tail lights as a template. Rear spoiler will compliment them but is getting the "Millen" treatment at the moment. 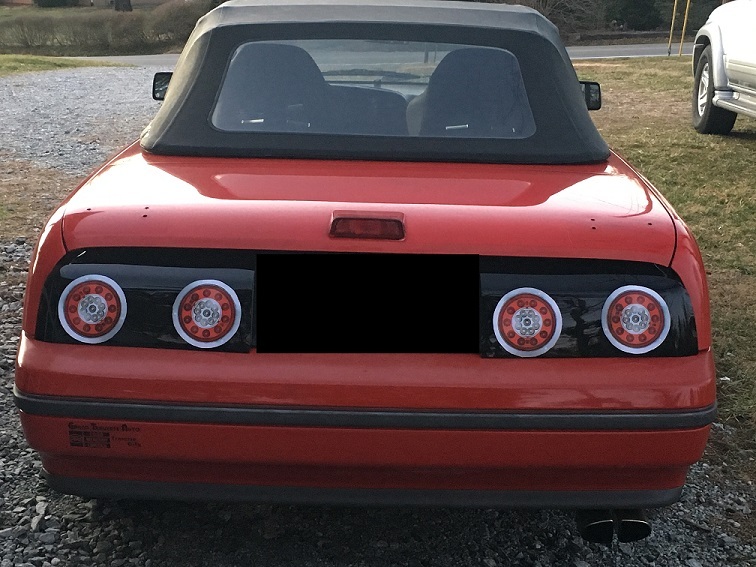 Reminds me a lot of the Clubsprint lights. Russ had done a molded prototype years ago that took Vette circular lights if I am remembering right. Do you have any plans for reverse lights? Are they built into the LED panels? Ok , so these are REALLY not even roughed in yet. Those are color print outs, to scale of the lights I bought. They get here from overseas this week and are brand new. This version utilizes the GTS smoked tail light covers and will be built as such that you could "reverse" it without harming the 91-93 tails. The lights will be in housings that resemble the Ferrari 458 tails (though not as deep as in the pic) since there is a slight angle on ours, that I would need to account for so that they face vertical instead of tilted. 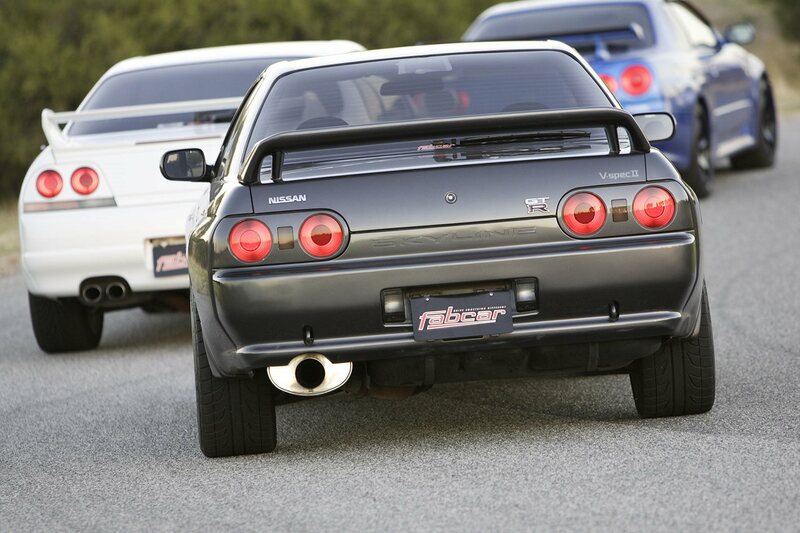 I will also either incorporate a reverse light between the circular lights that is rectangular like the R32 Skyline lights OR I have an LED that is dual function as a 3rd Brake light AND a reverse light that attaches to the top bolts of the license tag bracket. 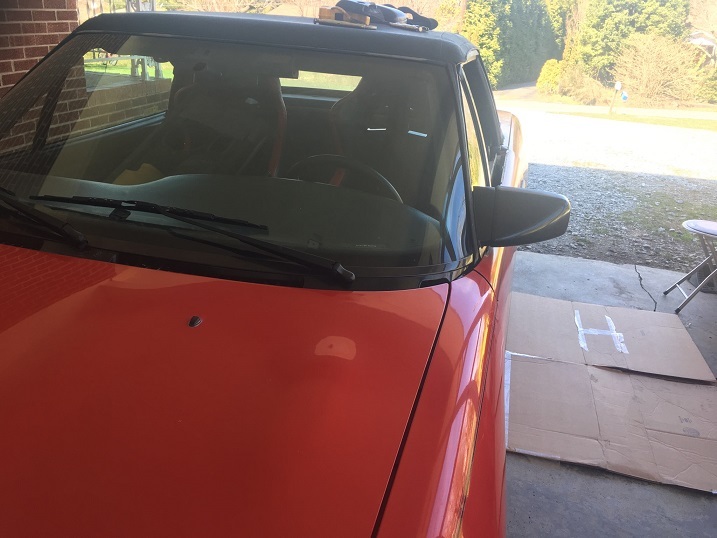 OR I will delete the stock 3rd brake light and glass an LED bar into the new rear spoiler that I am fabbing for it that is reminiscent of the Millen one from years ago. ALSO, I plan on painting/tinting the outside bezels of the first lights so that they will still look metal but will blend into the tinted GTS tail light covers better. I think this would also be the easiest one for someone to replicate that doesn't have a lot of skill working with cat hair/long strand fiberglass. I am also making a pair that requires some fiberglass work and uses the Depot 300ZX "Ferrari" Tail lights. with a donor set of 91 stock tails for the housings. They would have LED star bulbs in them as the MAIN reason I am doing this is function. Form matters but is secondary since our tails are woefully "underlit" even with adding the second brake light bulb to the inner housing. 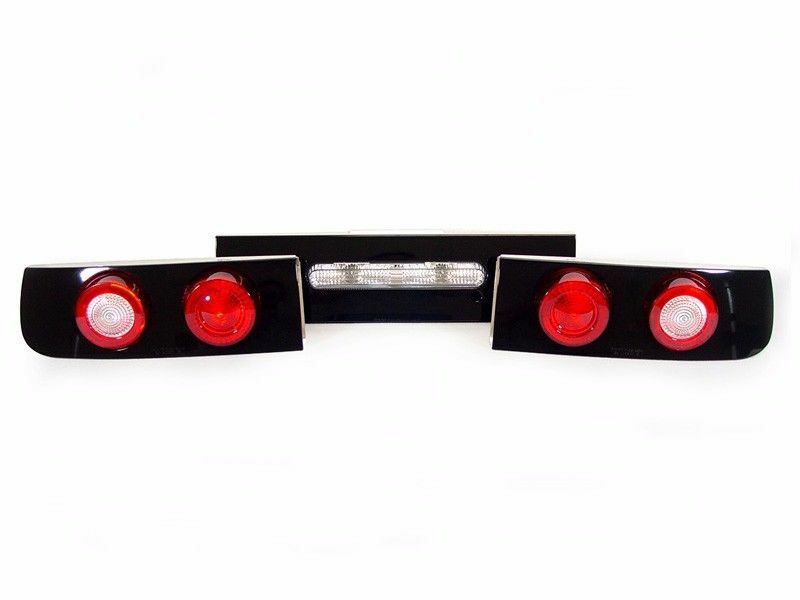 Last, I want to try a 3 light "sequential set utilizing Dakota Digital LED tail lights for a 62 Impala and not use the chrome bezels. New Sony CD receiver and sub, 600Watts. We be rockin' now. So far the only problem is it drowns out the rumble of my exhaust. One problem after the other. Update: went back to Florida. Was hoping to improve gas mileage. Any improvement may have been superceded by leadfoot syndrome, oh well. Did figure out what to do about the hum at 80MPH, turn up the radio. Decided to try a different mirror option I've been eyeballin' for a while, that I thought carries the lines of our car and are a lot more aero, so I "mocked up" these this past weekend. The match the 90's "angled" look of the rest of the bodywork much better than some of the "M3" type aftermarket mirrors I have seen. 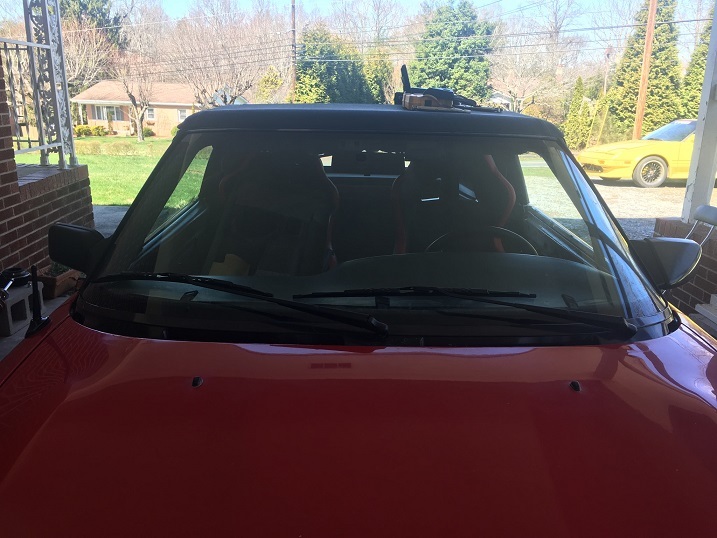 So, the donor car is the 84-89 Starion/Conquest ~ Starquest and is a factory remote and heated mirror. It's an easy modification to make it fit our cars and can be done with a Dremel, a new carriage bolt, a couple nuts and 3-4 fender washers per side and some good JB weld to position the bolts, washers and nuts for an oem fit that won't ever budge. Obviously, I will shoot the mirror red after I get everything smooth and snugged up. The last pic is of my 2JZ swapped SHP "Starquest". I have a spare parts bin that it came from. Helps to see it in red I think. Now for the passenger side mirror and the pin out for the remote mirror switch. Haven't decided if I will mess with the heated mirror function yet. That looks really nice. What is a Starion.....lol Good work. Thanks Jack. I hesitate to stick them on FB pages until they are done for obvious reasons that everyone's a critic these days. 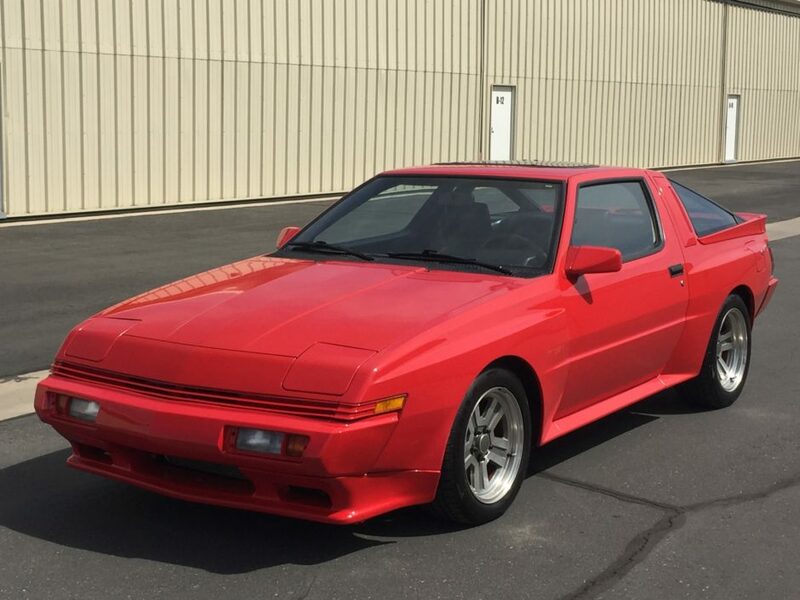 The answer to your question is that the Starion/Conquest was made by Mitsubishi and sold here as the Starion AND Chrysler Conquest from 84-89. They were packed solid with tech and were RWD Turbo cars with a fully independent suspension and Anti-lock brakes in certain years. the 87-89 had an SHP (handling package) that had coilovers, a widebody treatment to the exterior and wider, staggered wheels and are very collectible. Starting to appreciate some and are a great swap car for the 4G63 (from the Talon, Eclipse, EVO) as well the LSx V8 series and the 2JZ from the Supra twin turbo. The stock motor was capable but had it's limits. The LS swap is cool but required more fabrication than I was willing to do. The 2JZ is good for 900hp on the stock bottom end so it's ALL the motor the car will ever need and can be tuned for track days or a drag strip (the track days are more my speed these days) They are relatively cheap and can be turned into wickedly fast but predictable cars as they were decently engineered for even today's standards. PLUS, no driver aids.....just the way I like it.